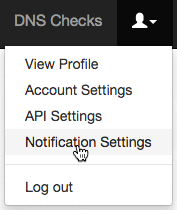 DNS Check can send you notifications via Basecamp Campfire chats when DNS records start passing or failing. This page describes how to setup DNS Check / Basecamp integration. Note: we currently only support Basecamp version 3 Campfire chats, because they use a different API than earlier releases. Please contact us if you'd like to see support added for an earlier Campfire release. 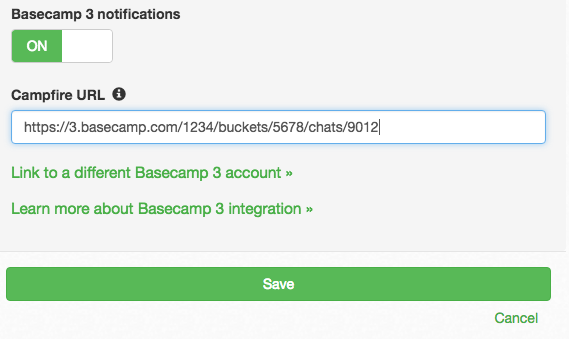 Click the Integrate your account alerts with Basecamp 3 » link. Congratulations! 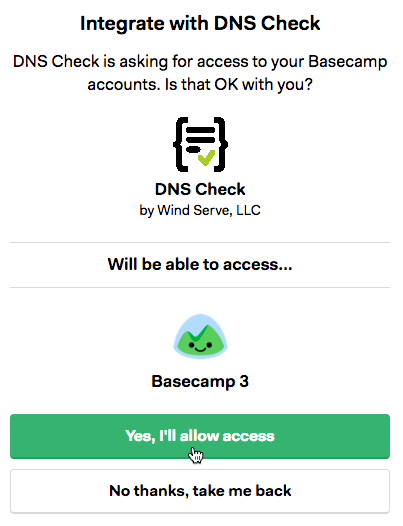 You're now finished integrating DNS Check and Basecamp.